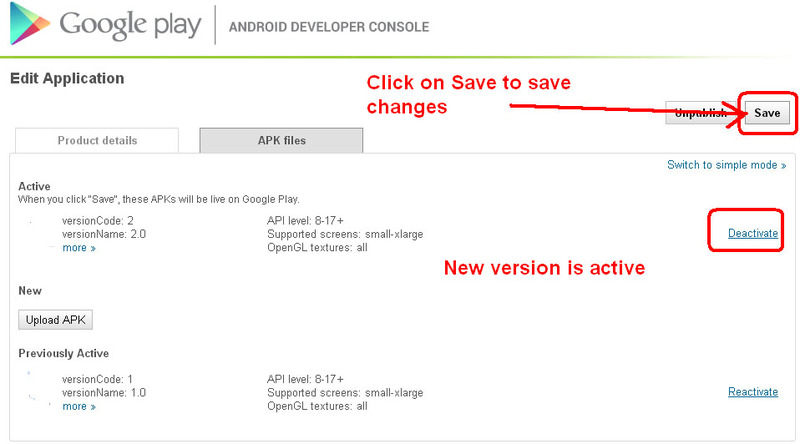 I thought updating an upgrade to an Android app on Google Play will be simple task but it turns out to be nightmare. Or may be I’m missing something. Before you upload the updated APK file you need to make sure that you have used the same Private Key to sign the updated Android app as you used for the previous version. 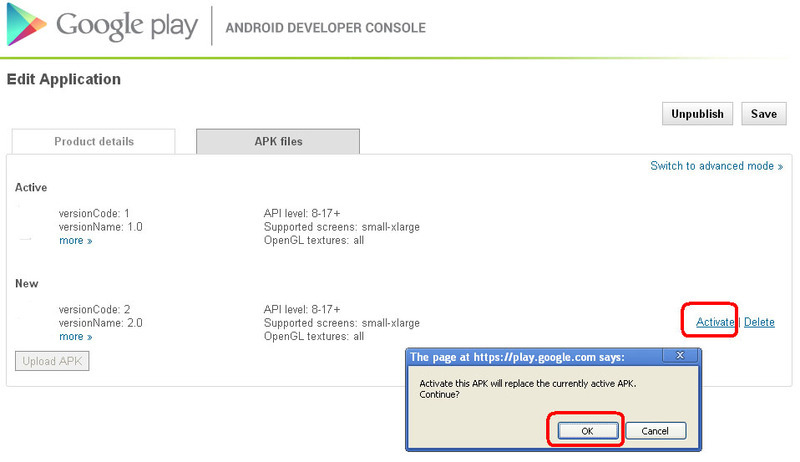 The apk must be signed with the same certificates as the previous version. 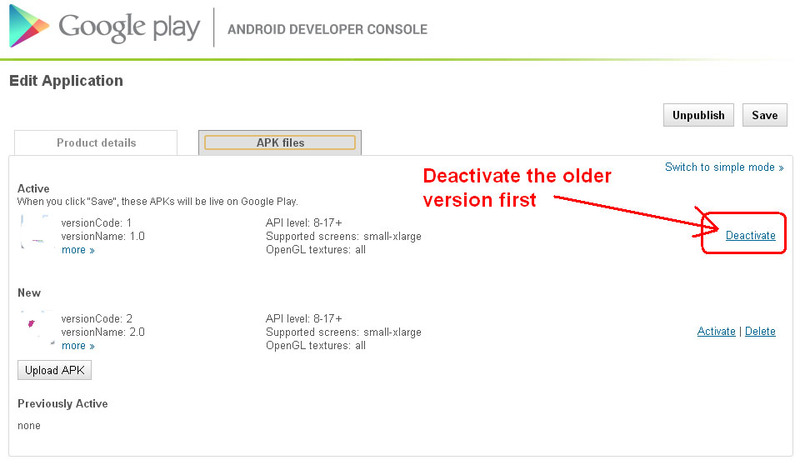 Next you need to make sure to increase the android:versionCode and android:versionName attributes. Once you have uploaded the updated app you will see it in the console. Next activate the latest version. 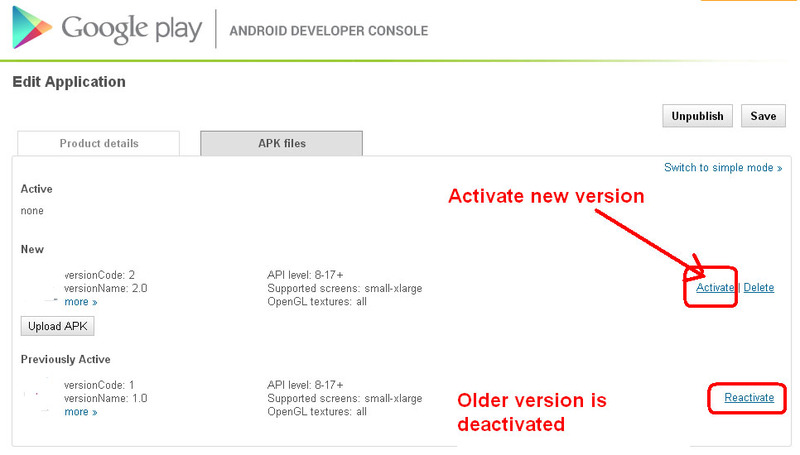 Now go back to the console and you will see that the older version is still active and latest version is deactivated. In previous steps I’ve been using Advanced mode, so I tried to do the same in Simple mode. This time it shows a prompt, looks good so far. Click on OK and save again. 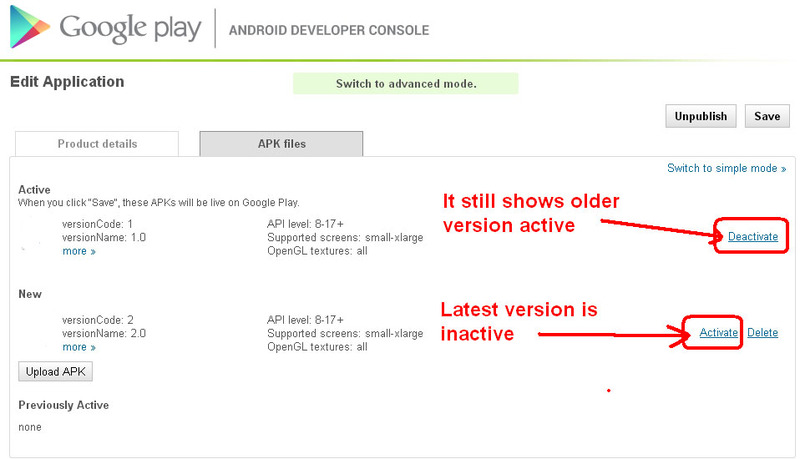 When I go back to Google Play Android Developer Console I still see the older version active. The updated version still shows deactivated. When you click on the Save it doesn’t show any message. So I assume that the last part of the process – Save – doesn’t work? I tried it in Chrome and Firefox browser, same result in both. Google Play doesn’t work properly in IE. Solution is yet to be found. Believe it or not it was browser problem. I followed above procedure in IE and it worked. It shows message after saving and directs me to edit page to update details. 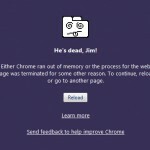 The problem happens in Chrome and Firefox. 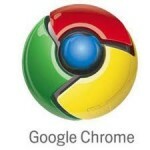 However it is not always the Chrome problem, for some people it might work in Chrome. So try to use different browser if it doesn’t work in one. It’s really wired though. 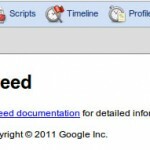 I assumed all Google products should work in Chrome, after all it’s part of whole Google ecosystem. Wasted 3 hours in figuring it out.